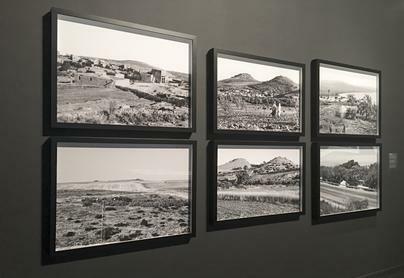 Rula Halawani is represented in Being Rebellious: Women’s Narratives in the Arab World an exhibition at Instituto Valenciano de Art Moderno (IVAM) exploring the realities of the Arab world since the nineties, as shown through different perspectives of female artists from the region. Through the works presented, the constructs of femininity formed by men are reflected on, while also shedding light on the political capacity for transformation of women as social agents. The exhibition revolves around four conceptual axes: private spaces, personal areas; the body, the desire, the sexuality; places and symbols of the public, and finally, history, its folds and conflicts. Halawani is featured alongside leading female artists such as Ghada Amer, Mona Hatoum, Amal Kenawy, and Zineb Sedira. Halawani presents works from her Intimacy series, Negative Incursions series, Presence and Impressions series, and The Wall series. The exhibition is curated by Juan Vicente Aliaga and runs until 28 January 2018.